Start your review of Shawn Ye. Send a message to Shawn Ye. Thank You! 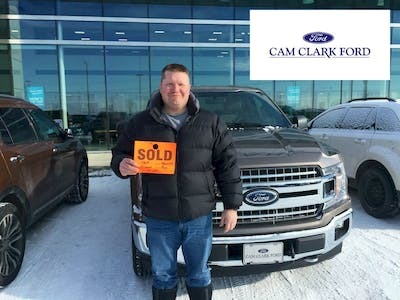 Your message has been sent to Shawn Ye at Cam Clark Ford Airdrie. The staff were great. Very helpful and understanding. Not pushy and took into consideration what our budget was. They made the purchase of the new car really easy. 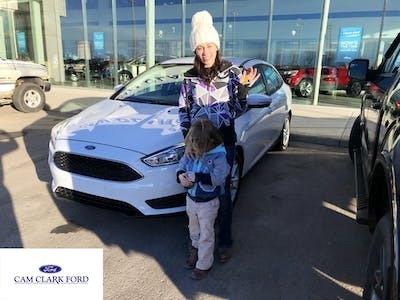 Our sales person was super good to us and helped us find a car that would work for our little family. He explained everything to us along the way since it was our first time buying. 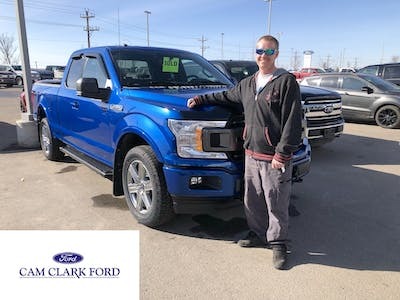 I went to Cam Clark Ford in Airdrie, because I’m from a small town, but wanted to get the big city deals! That’s exactly what I got! Ron, my sales guy, was awesome! He didn’t push me to buy a vehicle I didn’t want. He Knew within a couple of minutes what kind of vehicle I was looking for; and, he pulled up everything the dealership had within seconds. 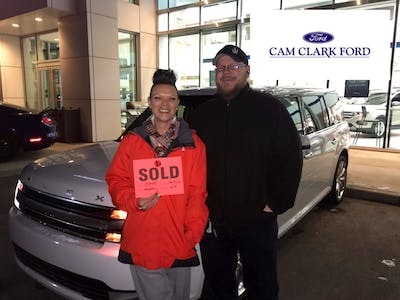 Ron could easily and quickly get me prices and financing rates; and he made me feel like there were no other customers in the dealership that day.! 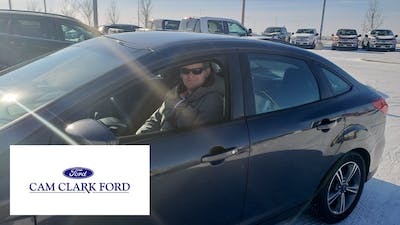 Got the chance to finance my first car at a dealership thanks to Ed Wan and Brittney Horvath at Cam Clark Ford in Airdrie. They took the time to discuss what I needed and liked, and did whatever possible to have me drive home with a reliable, new car. Excellent service & Ron helped us purchase the vehicle we were looking for. There was no pressure with just settling on a vehicle. Thank you so much Ron. I've been leasing from Cam Clark for about 5 years now, and just recently I was given an offer to either terminate or upgrade my current least. I was skeptical about it at first, but after going through the motions, the staff at Cam Clark got me into a new 2018 Escape SEL with more features, for around the same price as I was leasing my 2017.